Thirteen-year-old Cody doesn’t know much about normal life. He’s been living and traveling all over the world with his father, who works for the CIA. Together, they’ve formed a research team responsible for tracking the bad guys. But, someone’s caught on. An explosion outside a cafe in France, where they barely escape with their lives, leaves the team shaken. Cody’s father puts him on a plane and tells him to become invisible until he reaches his destination. Cody’s headed somewhere safe from danger: his aunt’s house. 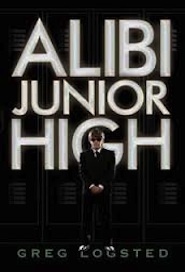 He’s infiltrating junior high, where he must assume his most challenging role ever – himself. Cody’s used to being home-schooled by his father, wearing suits every day, and defending himself against anyone who looks at him funny.